Reggie is the Office Managing Partner of the Washington, DC office and the Chair of the firm’s Federal Government Contracts and Procurement Practice Group. 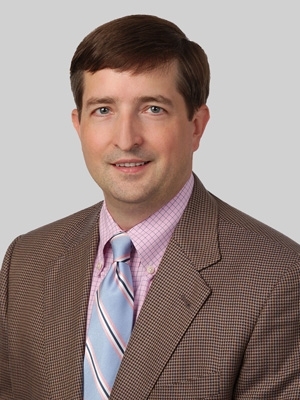 He has a well-established commercial and federal litigation practice with a focus on large, complex claims prosecution and defense, litigation and alternative dispute resolution. Reggie’s clients include national and international corporations, including defense contractors and suppliers, design and engineering firms, construction managers and large specialty trade contractors. Reggie litigates bid protests, claims and disputes before the Government Accountability Office (GAO), the various Boards of Contract Appeals, and the U.S. Court of Federal Claims. He represents clients in connection with claims and performance disputes, including terminations, past performance evaluation challenges, DCAA/DCMA audits and investigations, Organizational Conflicts of Interest (OCI), Rights in Data challenges, and suspension and debarment proceedings. Reggie regularly works to resolve complex and sensitive matters with the counsel with the Department of Justice (DoJ), the Department of Defense (DoD), the U.S. Army Corps of Engineers (USACE), the Naval Facilities Engineering Command (NAVFAC), the General Services Administration (GSA), the Small Business Administration (SBA), and the Environmental Protection Agency (EPA). Reggie advises clients on transactional, project administration issues including contract and subcontract negotiations, teaming arrangements and strategic alliances, and contract novations due to changes in corporate structure. Reggie assists clients develop, implement, maintain, and improve their federal business ethics and compliance programs. He works with clients to help them comply with requirements such as Federal Small Business Subcontracting Plans, the SBA’s 8(a) mentor-protégé program, the Buy American Act (BAA), the International Trafficking in Arms (ITAR) and export control issues, as well as the Contract Cost Principles and Procedures under FAR Part 31 and the Truth in Negotiations Act (TINA). Reggie has conducted numerous internal investigations, assisted with voluntary disclosures, and defended numerous civil False Claims Act cases, including those brought by private relators (Qui Tam) and the various Offices of Inspector General (OIG). In the area of commercial and federal construction, Reggie assists clients with claims prosecution and defense before federal and state courts, boards of contract appeals, and in commercial arbitration and mediation. Representative claims include constructive changes, delay, acceleration, and lost labor productivity claims, differing site conditions, defective specification claims, as well as defense of design and construction management professionals against professional negligence and breach of contract claims. Representative projects include mixed-use retail/residential, hotels, convention centers, hospitals, parking structures, universities, museums, power plants, petrochemical facilities, water filtration and water treatment plants, as well as bridge and highway projects. Prior to joining Fox, Reggie was a partner with the Atlanta-based, federal government contracts and construction litigation firm, Smith, Currie & Hancock LLP. He also served as a Captain in the U.S. Army (3/77 Armor Battalion, 3rd Brigade, 1st Armor Division and the 28th Transportation Battalion) from 1991 to 1996, serving four of those years in Germany, Hungary, Croatia and Bosnia-Herzegovina. While in law school, Reggie was a member of University of Georgia Law Review. Reggie has served on the Board of Directors for the Virginia Chapter of the Associated Builders and Contractors (ABC Virginia Chapter) and as Co-chair of the Construction Division of the American Bar Association's Section of Public Contract Law. He has authored numerous articles on government contract issues that have been published in the Associated Builders and Contractors’ Construction Executive magazine,The Procurement Lawyer, the American Bar Association’s Public Contract Law Journal and the ABA Forum on the Construction Industry’s The Construction Lawyer. Reggie currently serves on and the Board of Governors of the Washington Building Congress (WBC) and is the Chair of the Regional Development Committee. Reggie has served on the board of directors of two abused women’s shelters—the International Women’s House in the Atlanta metropolitan community, where he served as the Chair of the Board of Directors in 2008 and 2009, and the Loudoun Abused Women’s Shelter (LAWS) in Virginia where Reggie served as the Treasurer of the Board of Directors from 2010 through 2016. Reggie is also active in U.S. Masters Swimming and his local chapter of the Izaak Walton League of America, a national conservation organization dedicated to conserving, restoring and promoting the sustainable use and enjoyment of America’s natural resources.